There are a number of reasons to favor a direct drive turntable, all of which are in the interest of vinyl lovers new and old. 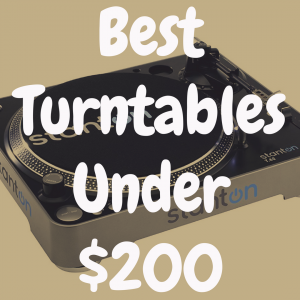 In this article, we will take a look at the best direct drive turntables for under $500, breaking any myth or stereotype that for direct drive technology you have to shell out $1000+. 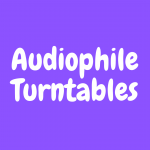 Below, please take a moment to use the interactive table to easily search for awesome direct drive turntables that are available on the market. What is a Direct Drive Turntable? With direct-drive turntables, the motor is directly under the platter, and that location is purposeful. Direct-drive turntables usually get up to speed almost instantly. When you turn off a direct-drive turntable, the platter is free-spinning with no resistance. These two features make direct drive turntables the choice of DJs around the world. They are able to easily spin the record in either direction without any risk of damage to the turntable motor when it is off. The quick start feature means the music is the right pitch from the first second the stylus hits the record groove. Direct-drive tables also will give you a speed control, so as a DJ, if you want to change the tempo to blend one song into another with two turntables, it is pretty easy to do so with the range of speed adjustment available on a direct-drive table. Belt-drive turntables, by contrast, usually take several seconds to get up to speed. The belt is also always part of the mechanism, so spinning the platter in either direction with the motor off is going to cause some wear on the belt. The platter will also not spin freely, as you have the resistance of the belt itself. Also, with belt-drive, there is not really a way to change the speed except to switch it from 33 to 45. Even those who do not spend time scratching their records, on purpose at least, love direct drive tables for the quality and accuracy at which they can listen to their favorite albums. 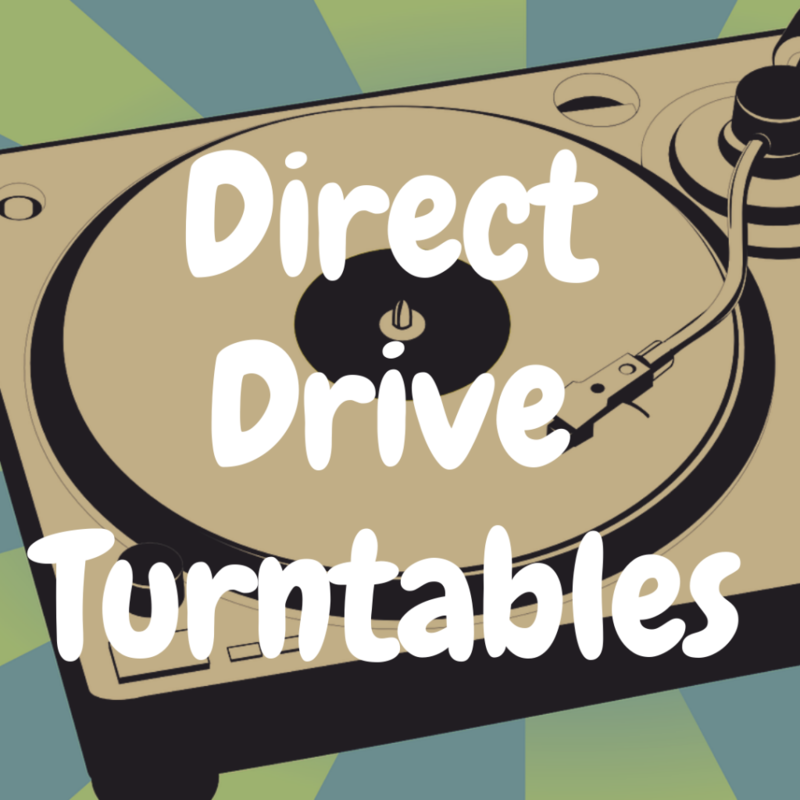 Consider direct drive tables the mechanical favorite of most vinylheads. That being said, let’s get into the best direct drive turntables for under $500. The PLX-500 is a close cosmetic copy of the popular Technics table, complete with always-on speed strobe light in the left corner, pitch-control slider to the right, and distinctive S-shaped tonearm.The PLX-500 requires minimal setup. The platter and thin felt mat are placed on the spindle, the tonearm head shell (moving-magnet cartridge ready-mounted) is attached to the end of the tonearm with a full-turn of the locking collar, while the counterweight is twisted onto the arm behind the pivot. The PLX-500 doesn’t buckle under duress from intense platter wobbling scratch maneuvers like drills, tears and hydroplaning, and if that does not mean anything to you, do not worry about it. DJs will know that these techniques are not necessarily possible on any turntable, and the durability of the PLX-500 is impressive for its price point. It ships with a slip mat, needle, and head shell, which are actually up to the job and require no upgrades, unless you so choose. As for other features on this deck you get +8 and -8 on the ‘tempo’ control, 33, 45 and 78RPM choices and, like other turntables out there hovering around this price point. 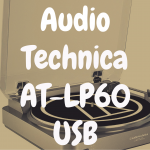 For the Audio-Technica’s LP-120, for instance, you get a similar set up with the PLX-500: a USB-out port, allowing you to digitize your vinyl for listening on other devices, or dropping into apps like Pioneer’s own DJ software. The Pioneer PLX 500 is a great option for those looking to possibly use their record player for more than just listening. With minimal set up required and a lot of great features that far outperform the price tag, the PLX 500 is an option everyone should consider if they are looking into direct drive turntables. 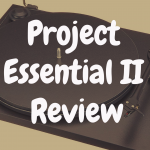 You Also Might Like: What’s the Best Pioneer Turntable? The T.62 M2 is an easy-to-operate, direct-drive turntable perfect for DJs of any style or experience level. The straight tone arm provides superior tracking capability for scratch DJs, and if you are not into scratching your records, and even possibly fear it, this is also a great option for listening as well. The T.62 is an easy to operate direct drive turntable with professional features that are great for the price you pay for this table. A Stanton 300 Cartridge comes pre-mounted on the modern headshell for this 2 playback turntable. You’ll miss out on 78rpm with this one, as a DJ-friendly table usually does. Reason being that scratching the outdated shellac records from yesteryear basically tears them apart, so you don’t see many DJs using those older 78s. There are two start switches and two stop switches for mixing, which makes setting up a DJ rig really easy. Luckily for newcomers, it doesn’t take much more than reading the cable insert labels to understand how to plug in and start mixing. There are also options for battle setups here, which help diversify your options. You can adjust up to + or – 10% with the manual pitch control fader, which if you are not a DJ, you may not be using, but it is a little fun to play with pitch. Who knows, maybe that’s your ticket into the world of DJing. RCA stereo outputs make it easy to get going on some massive speaker setups and best of all, it’s as simple as matching colored cords and plugging in. Included in the turntable are those RCA cables, a slipmat, and a dust cover; basic essentials that many find to be standard for a table. You also get a full version download of Deckadance DVS Software, that helps organize and control your mixes. I’ve used better softwares, but for free, this will get you scratching in no time. Under $500, the Stanton T.62 Direct Drive Table should be considered a top contender in your shopping for a direct drive turntable. At first glance, this looks like another affordable, straightforward Crosley table. The C200 comes well-packaged in a large cardboard box, with some assembly required, but nothing time consuming. Once everything is unboxed and in front of you, it is clear that it will not take long to get you spinning. Included are the main table you will spin on, a plastic dust cover, a die-cast aluminum platter, a tonearm counterweight, an Audio-Technica cartridge, and a short RCA cable that require putting together. An instruction booklet and plastic 45 R.P.M. spacer are also included. Follow the directions, or don’t follow directions, you will probably stumble across the right setup on your own. 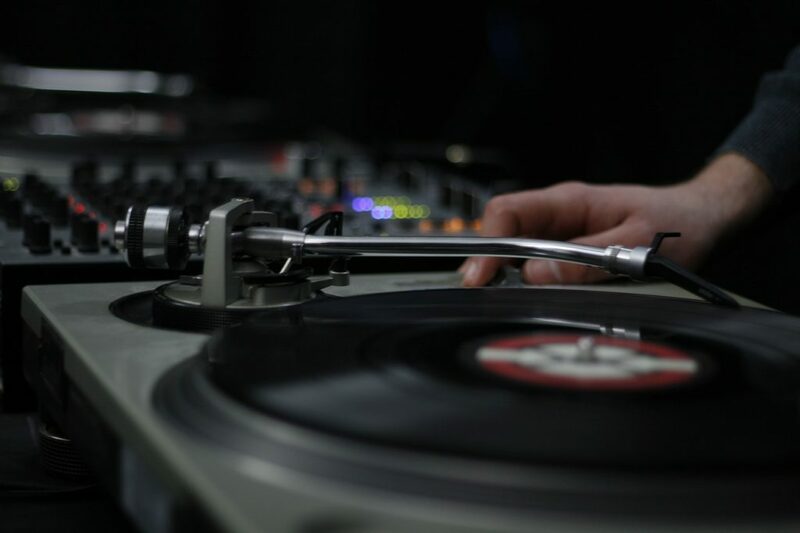 The C200 looks similar to other direct drive turntables from over the years the likes of Technics and Audio Technica – it is clean, unassuming, and it gets the job done. The preamp that comes with the turntable is the only thing that lacks punch, and that’s not a hard fix, nor is it one you necessarily need to make. The built-in preamp is good but not great. When tested against an external preamp, even some low end or middle of the road preamps, external options made the C200 system sound significantly better. 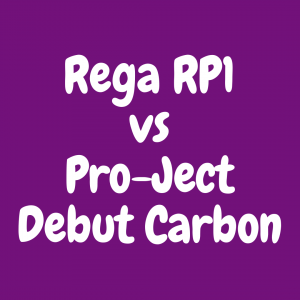 When you flip the phono switch on the back of the turntable and then run the RCA cables through your own pre-amp, you might have better sound results as opposed to playing the table out of the box as is. The sound is still good with the default preamp, but you might be able to make it sound even better with a little customization. 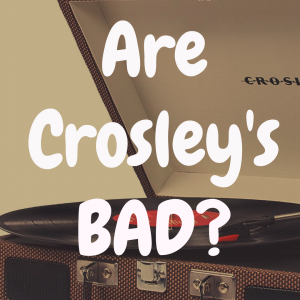 At high, high volumes, the Crosley C200 buzzes slightly, but overall, it’s a wonderful option for those looking for a direct drive table that skips the frills, as well as the typical issues that plague other middle range turntables in this price range. Audio-Technica makes fantastic turntables, and the great thing about them is that they are quite affordable. They produce an LP line of turntables, and while the AT-LP3 and AT-LP7 are belt drive turntables, the Audio-Technica AT-LP-5 is a direct drive record player that’s worthy of your attention. Coming in around $450 (depending on where you get it), this record player is manually operated and can play 33 and 45 RPM records. Built with materials that will prevent vibrations from entering the turntable and tonearm and cause your stylus to skip while playing, you’ll also get the benefit of its built-in USB functionality. So now, you can transfer your vinyl records to MP3’s or CD’s, just in case you have the super rare record that was never released on another format and you’d like to find a way to archive it for posterity. Most people mention Audio-Technica’s name when on the subject of headphones or microphones, and these have indeed been mainstay favorites of DJs and pro musicians for a long time. Nowadays, you hear much more from AT in regards to their turntables. Around the turn of the century, the brand got a steady foot in the vinyl record player market through their replacement record needles, which offered superb audio performance for what was a fraction of the price of established stylus market leaders such as Stanton and Ortofon. Now, ask anyone what needle or cartridge they are using, and it’s probably an AT. It is no surprise that the AT-LP120, a turntable model mentioned earlier on this list, is beautifully constructed, and represents great value for money. You get the classic Technics 1210 design which for the longest time and still remains the benchmark for performance, and the AT-LP120 is a step up, with included Line Out and USB options and steady skip-free groove tracking. The sound could be a little better, but that opinion involves being a little nitpicky. It is not that it is a bad table, just a little bland, without the space and depth that you would expect from models in this price range. It’s worth noting that as always, turntable sonics can be upgraded anyway, and as beginners or novices expand their taste in sound and quality, they can upgrade as needed. That being said, there is no way you can go wrong with this one, especially if you’re just starting out or want to go for an established brand that isn’t going to let you down. For the price, there are some that might do the same thing for less, but this is a staple at this point in the vinyl community. 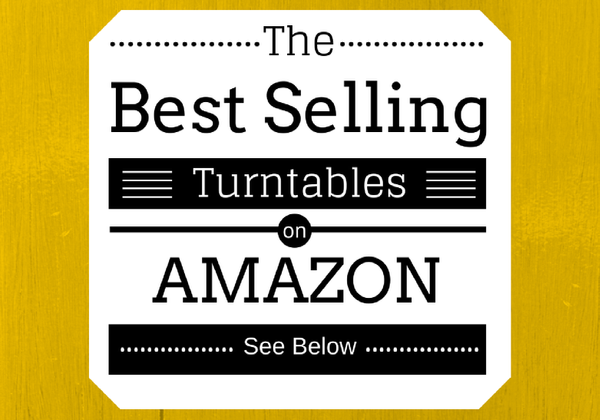 You Also Might Like: What’s the Best Audio Technica Turntable? For a direct drive turntable under $500 there is not a single table on this list that will steer you wrong. Take a look, read over a few times, and find one that fits your need! Happy spinning!